Overall Impression: This cup is made with TPE and not silicone. Some people find it easy to use while others find that it doesn't always "spring" back as silicone may. TPE is also said to form to your body and may always stay in an oval shape as oppsed to returning back to a circle like silicone would. 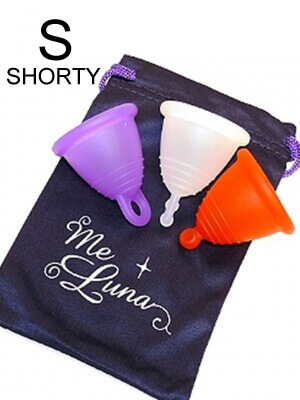 The "Shorty" version were designed for those who have a low to very low cervix. If you have a high cervix, these may may be harder to reach to remove. 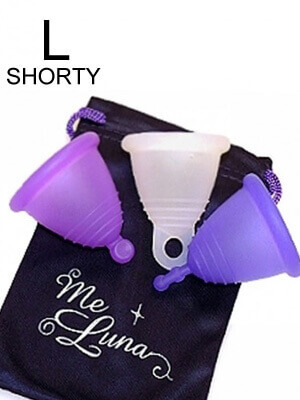 The large and Xlarge "Shorty" cups may work with a medium cervix, but still don't provide the capacity for a heavy flow. MeLuna offers different firmness levels in this size: Soft, Classic, and Sport. 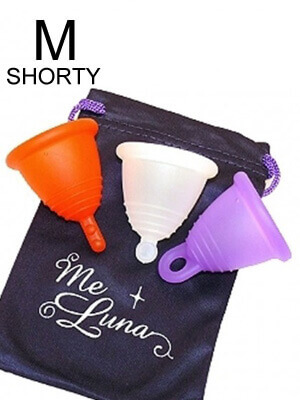 The Soft version is not sold in the USA per FDA regulations. 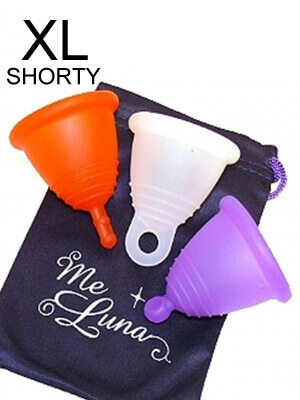 The firmness of the large and Xlarge make them easier to open.